Can Gareth Bale Emulate Cristiano Ronaldo At Tottenham? You are here: Home » Editor's Pick » Can Gareth Bale Emulate Cristiano Ronaldo At Tottenham? As the Premier League enters the final third of the campaign, Tottenham Hotspur is making good progress towards their Champions League ambitions. Spurs have become a formidable force under Andre Villas Boas and the chief architect behind their success is their Welsh Wizard Gareth Bale. The man who started as a left back, is currently enjoying his freedom across the front 4 after establishing himself as a world class left winger. Gareth Bale has been successful as a left winger, right forward and in center forward roles recently for both club and country, and taking his game to another level as time moves on. Fortunes have changed drastically for Tottenham and Gareth Bale. Not many will remember that Gareth Bale had a horrible 24 game losing streak at Spurs before tasting victory. The man who was deemed as a decent left back who is good when going forward is one of the finest in Premier League now. Ai? ?One cannot name too many players in the same bracket as Gareth Bale and nowadays he is slowly evolving into the standards of Cristiano Ronaldo and Lionel Messi. Pundits are making their views clear in every passing week, Gareth Bale is the closest player to Cristiano Ronaldo. What makes Gareth Bale so special? Is he the best player in Premier League? Can he make things happen on his own? Can he perform day in and out like the 2 best players on this planet? Gareth Bale has walked into the Premier League team of the year twice already, apart from winning the more prestigious PFA Players’ Player of the Year award and the UEFA Team of the Year award. These accolades speak about his performances from 2010 to 2012, while his current performances have taken him to a more superior level. Representing a weak Welsh side hasn’t made Bale’s life any easier and given the competition in the Premier League, Bale’s Tottenham are probably only fifth from the top. That makes his achievements bigger and to carry a team from nowhere to their Ai? ?best position in recent years makes him something special. 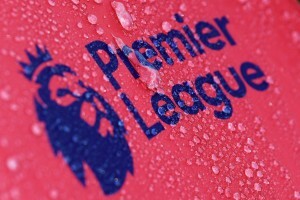 Gareth Bale can be counted among the finest players in Premier League which includes Robin Van Persie and Juan Mata. RVP and Mata have enjoyed brilliant runs this season but with the red hot form Gareth Bale is in, he just inches ahead of these two. Bale has scored all 6 Tottenham goals in the last 15 days across 4 matches. His run of form includes 12 goals in 11 appearances for his club and country after Christmas last year. A prolific record which can make a striker proud about his tally, but wait Gareth Bale isn’t a striker, he is a left winger who has the license to roam around the pitch and his coach Villas Boas is reaping rewards for it. A winger is usually judged by the goals, assists and the chances he creates. There are many underrated wingers whose overall contributions are overlooked. In Tottenham, Aaron Lennon’s defensive support is not recognized by many. He tracks back often to provide adequate cover and support for Kyle Walker. Similarly some aspects of Gareth Bale’s game has been overlooked as his flair stands apart, his overall game has improved by miles under Villas Boas. Gareth Bale has attempted an aerial duel in every 23 mins while he has an interception to his credit in every 58 mins. The aerial duels can be attributed to his height to negate his good work, but you cannot take away the credit from his positioning for his 35 interceptions. The Welsh winger also possess a healthy tackling success ratio of 48% with a tackle coming in every 59 minutes. Gareth Bale is blossoming into an all-rounder every passing game, his patience and hard-work are destined for more success and glory for sure. The expectation from Spurs fans and the world has been increasing ever since Gareth Bale tormented Maicon and Inter Milan two years ago. It has reached an all time high now as even Arsene Wenger is finding it quite hard to digest. Wenger might have a different view but the world is expecting something special from Tottenham’s No:11 whenever he has the ball. The crowd’s enthusiasm and passion is clearly visible and on most days they return home with satisfaction. Tottenham’s stadium White Hart Lane is almost always full as the fans do not want to miss Gareth Bale magic. He is a phenomenon of the modern game who has a deadly left foot, who can cross, shoot, pass and head that too with perfection and precision. A rare combination of traits in modern footballers and the one football fans associate with Cristiano Ronaldo! The power, precision and the technique Gareth Bale uses in his free-kicks makes him unique. He is a hardworking footballer who has his best years ahead of him, he is improving day by day and the performances are a testament to his hardwork and work ethics. Gareth Bale’s recent goals has a mix of everything, a sign that his training is finally paying off. He is setting various benchmarks for other players in Premier League, as his gameplay has a combination of power, pace, accuracy, unique technique and individual brilliance written all over it. These facts are acknowledged by the muti-million offers floating in the air from world’s finest clubs Real Madrid and Bayern Munich. The best teams the world over rely on certain players. The way Barcelona relies on Lionel Messi, the way Real Madrid relies on Cristiano Ronaldo, is the same way in which Tottenham Hotspur relies on Gareth Bale. Are they being labelled as one man teams? They are known as the two best teams in the world. Zlatan Ibrahimovic has scored 47% of PSG goals and Lionel Messi scored 45% of his teams goals on the other hand Gareth Bale has just scored 30% of his teams total goals making it clear that Tottenham aren’t a one-man team. Being a one man team or not doesn’t matter to fans and as long as Gareth Bale continues his virtuoso performances to help Tottenham to their ambitions their fans will be more than happy. Can Gareth Bale emulate Cristiano Ronaldo? The amount of media attention Gareth Bale earns makes it clear that he is the star man, the one who can take the team to the next level. The person who often takes the team away from trouble and that’s why he is a fan favourite at White Hart Lane. There is a belief that Tottenham must enjoy the brilliance of Gareth Bale while they can. But in the real world the scenario isn’t that bad, He isn’t a Michael Carrick, Dimitar Berbatov or a Luka Modric who forced their way out of the club. Even though these players did their best, Daniel Levy had his own say in the proceedings. With Daniel Levy around, Tottenham fans can relax without the fear of losing him in this window. If Andre Villas Boas can make them title challengers in the next season by building on Gareth Bale’s brilliance, who knows, he might script a new chapter in the clubs history books. There is anAi??argumentAi? ?that it is too early to start comparisons betweenAi? 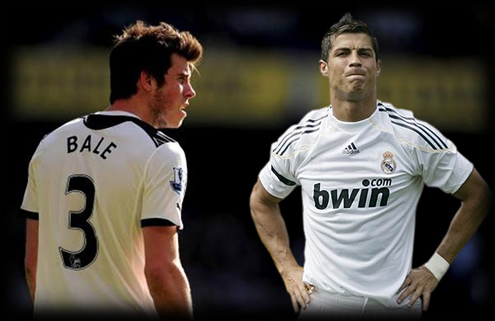 ?Gareth Bale and Cristiano Ronaldo. Bale’s freekick technique isAi??reminiscentAi? ?of Cristiano Ronaldo and Juninho Pernambucano. This is the main reason behind the comparisons. But in general Gareth Bale is developing into an all round footballer and his free-kick success against Lyon adds another feather to his cap. ‘Practice makes man perfect’ and in this case Gareth Bale, it is paying it dividends on all fonts. According to Bale himself, a lot of improvements must be made at a personal level. The sooner it happens, the sooner we will see a new competitor for the Golden Ball apart from the usual suspects. If the performances are an indicator, that day isn’t far away.